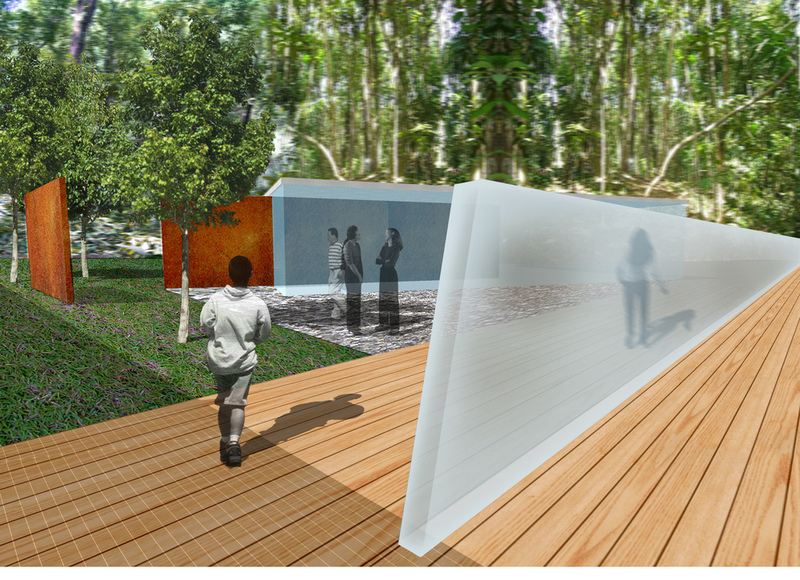 Description: From within the forested cliff on the northwest corner of the park site, our memorial expression begins as a singular point in the ground and dramatically emerges to form a sweeping canopy structure. Creating a cathedral-like space at its crescendo, the canopy veil returns back toward the ground and curves underneath a cantilevered pathway forming a spiraling arm that cradles a view towards the infinite horizon. 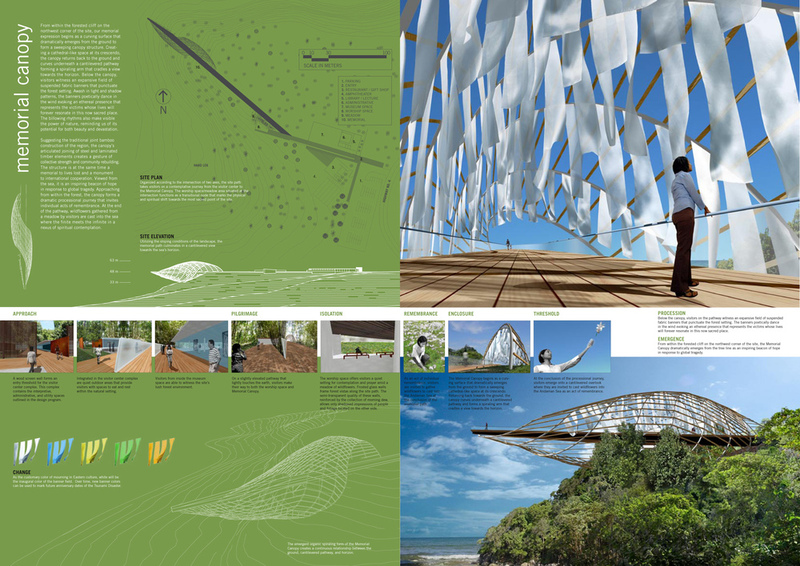 Below the canopy, visitors witness an expansive field of suspended fabric banners that punctuate the forest setting. As the customary color of mourning in Eastern culture, white is intended to be the inaugural color of this banner field. Over time, new banner colors can be used to mark future anniversary dates of the tragedy. 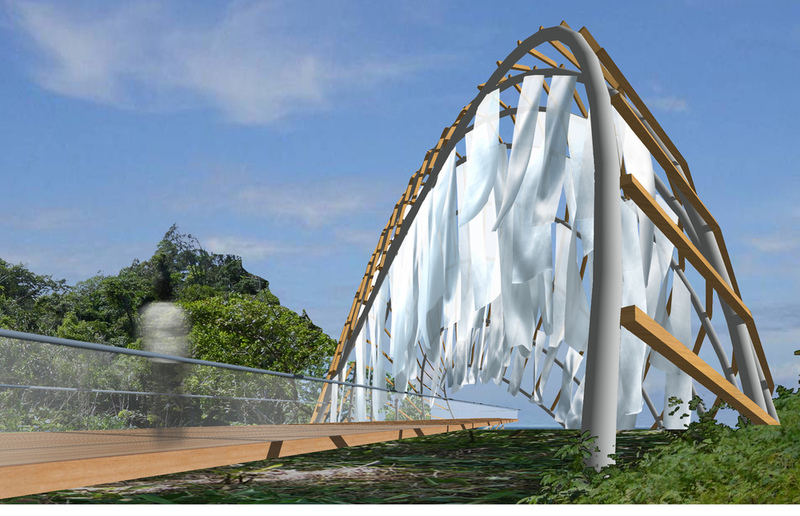 Awash in light and shadow patterns cast by surrounding trees and the canopy mesh, the banners poetically dance in the wind evoking an ethereal presence that represents the victims whose lives will forever resonate in this now sacred place. The billowing rhythms also make visible the power of nature reminding us of its potential for both beauty and devastation. 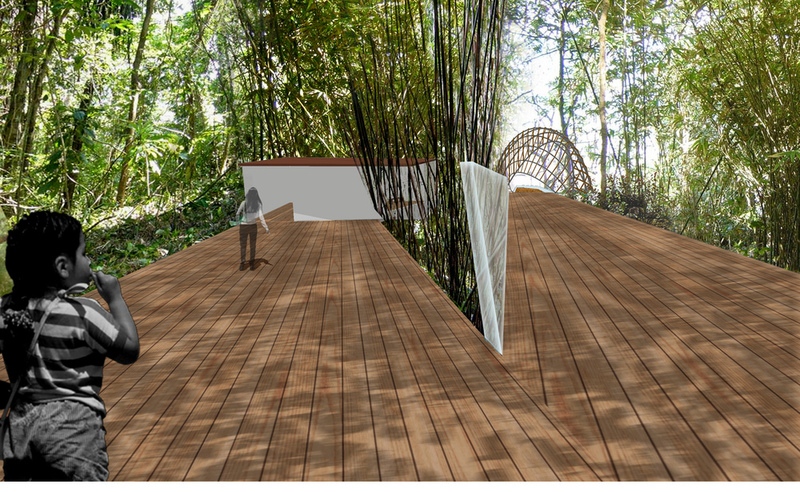 Suggesting the traditional joint bamboo construction of the region, the canopy’s articulated joining of steel and laminated timber elements creates a palpable gesture of collective strength and community rebuilding. The structure is at the same time a memorial to lives lost and a monument to international cooperation. Viewed from the sea, it is an inspiring beacon of hope in the midst of a global tragedy. Approaching from within the forest, visitors, who have gathered wildflowers from a meadow along the site path, are invited to make a memorial offering at the conclusion of the processional journey - the point where sea and sky meet in a nexus of spiritual contemplation.